What are prescription weight loss drugs? Any weight loss medications has to be prescribed and closely monitored by a licensed healthcare provider and may not be for every body. Here is a list of prescription weight loss medications. Phentermine, a schedule IV controlled substance, is one of the oldest and most used of all the prescription weight loss medications. It is approved as an appetite suppressant to help reduce weight in obese patients when used short-term and combined with exercise, diet, and behavioral modification. It is typically prescribed for individuals who are at increased medical risk due to their weight. Phendimetrazine (Bontril, Adipost, Anorex-SR, Appecon, Melfiat, Obezine, Phendiet, Plegine, Prelu-2, Statobex) is a stimulant drug used as a prescription weight loss medication. The combination of the drugs phentermine and topiramate (trade name Qsymia, formerly Qnexa) is a medication for the treatment of obesity and potentially related conditions such as type 2 diabetes and has been found to lower blood pressure and cholesterol. Qsymia was developed by Vivus, a California pharmaceutical company. Phentermine is an appetite suppressant and stimulant of the amphetamine and phenethylamine class. Topiramate is an anticonvulsant that has weight loss side effects. On February 22, 2012, U.S. Food and Drug Administration (FDA) advisors voted 20 to 2 to recommend that the FDA adopt phentermine/topiramate as an obesity treatment. On July 17, 2012, the U.S. FDA approved Qsymia as an addition to a reduced-calorie diet and exercise for chronic weight management. 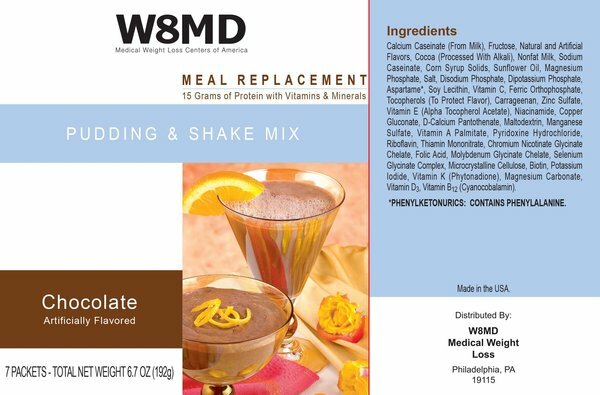 Generic combination of Phentermine and Topiramate similar to the combination used in Qsymia can be obtained (when medically appropriate as determined by the weight loss doctor after a physical examination and any tests), at select W8MD Medical Weight Loss Center Locations for significant cost savings over the brand name. Orlistat is a prescription and OTC weight loss medication depending on the dose. The low dose Alli is over the counter while the higher dose Xenical is prescription only. Orlistat (Xenical) reduces intestinal fat absorption by inhibiting pancreatic lipase. Some side-effects of using Orlistat include frequent, oily bowel movements (steatorrhea). But if fat in the diet is reduced, symptoms often improve. Recently, the U.S. Food and Drug Administration (FDA) has approved a revised label for Xenical to include new safety information about cases of severe liver injury that have been reported rarely with the use of this medication. Of the million users of Orlistat worldwide, cases of severe liver damage have been reported. Lorcaserin (Belviq) was approved June , for obesity with other co-morbidities. The average weight loss by study participants was modest, but the most common side effects of the drug are considered benign. Sibutramine (Reductil or Meridia) is an anorectic or appetite suppressant, reducing the desire to eat. Sibutramine may increase blood pressure and may cause dry mouth, constipation, headache, and insomnia. Sibutramine has been withdrawn from the market including the United States a few years ago as it’s cardiovascular and stroke risks were felt to be worse than the benefits. Rimonabant (Acomplia) is a recently developed anti-obesity medication. It is cannabinoid (CB) receptor antagonist that acts centrally on the brain thus decreasing appetite. It may also act peripherally by increasing thermogenesis and therefore increasing energy expenditure. Sanofi-Aventis has received approval to market Rimonabant as a prescription anti-obesity drug in the European Union, subject to some restrictions. However, in October , the European Medicines Agency (EMEA) recommended that Acomplia no longer be available in UK. One month later, Sanofi-Aventis decided it would no longer study rimonabant for any indication. In people with Diabetes mellitus type , the drug metformin (Glucophage) can reduce weight. Metformin limits the amount of glucose that is produced by the liver as well as increases muscle consumption of glucose. Exenatide (Byetta) is a long-acting analogue of the hormone GLP-q, which the intestines secrete in response to the presence of food. Among other effects, GLP- delays gastric emptying and promotes a feeling of satiety. Some obese people are deficient in GLP-1, and dieting reduces GLP-1 further. Byetta is currently available as a treatment for Diabetes mellitus type . Some, but not all, patients find that they lose substantial weight when taking Byetta. Drawbacks of Byetta include that it must be injected subcutaneously twice daily, and that it causes severe nausea in some patients, especially when therapy is initiated. Byetta is recommended only for patients with Type Diabetes. A somewhat similar drug, Symlin, is currently available for treating diabetes and is in testing for treating obesity in non-diabetics. Pramlintide (Symlin) is a synthetic analogue of the hormone Amylin, which in normal people is secreted by the pancreas in response to eating. Among other effects, Amylin delays gastric emptying and promotes a feeling of satiety. Many diabetics are deficient in Amylin. Currently, Symlin is only approved to be used along with insulin by Type and Type diabetics. However, Symlin is currently being tested in non-diabetics as a treatment for obesity. A drawback is that Symlin must be injected at mealtimes. For best results, appetite suppressant or other weight loss medications have to be combined with an LCD or Low Calorie Diet or VLCD or Very Low Calorie Diets. Did you know that 1 in 3 people have insulin resistance or are considered “pre” diabetic which could be the main reason that people are overweight? Losing just 5-10% of your weight will help you reduce risks of heart attacks, diabetes and even some cancers. Under the direction of Dr. Prab Tumpati, W8MD Weight Loss Centers was founded a year ago because of his passion to overcome obesity and to make a difference. Dr. Tumpati has passed a written board examination in the field of Bariatric Medicine and is also Board Certified in Sleep Medicine and Internal Medicine. 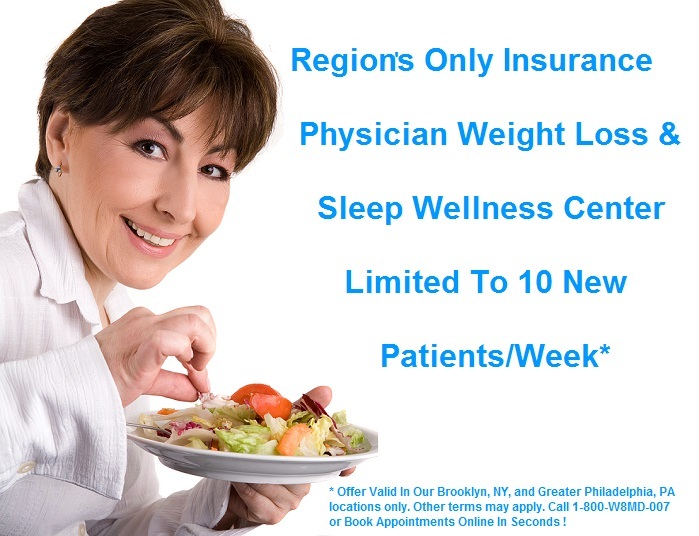 The doctor’s of W8MD partner with each patient to develop a custom weight management program to best meet their individual needs taking into account their medical history, lifestyle and goals. Since weight and sleep go together, most of the W8MD centers are able to address sleep issues such as snoring, obstructive sleep apnea, narcolepsy, insomnia and restless leg syndrome to name a few. Do not buy any of these products online as they may be illegal and you might be criminally liable. Seek help and advice from a professionally trained obesity medicine physician who can evaluate if any of these weight loss medications might be appropriate for you. Unresearched nonprescription products or programs for weight loss are heavily promoted by mail and print advertising and on the internet. The US Food and Drug Administration recommends caution with use of these products, since many of the claims of safety and effectiveness are unsubstantiated. Individuals with anorexia nervosa and some athletes try to control body weight with laxatives, diet pills or diuretic drugs, although these generally have no impact on body fat. Products that work as a laxative can cause the blood’s potassium level to drop, which may cause heart and/or muscle problems. Pyruvate is a popular product that may result in a small amount of weight loss. However, pyruvate, which is found in red apples, cheese, and red wine, has not been thoroughly studied and its weight loss potential has not been scientifically established. Conjugated linoleic acid is claimed to reduce body fat although the evidence is not conclusive. Side effects of conjugated linoleic acid include upset stomach, nausea, loose stools. Green tea extract is claimed to increase appetite, and metabolism, fat cell death although the evidence is insufficient to evaluate. Side effects include dizziness, insomnia, agitation, nausea, vomiting, bloating, gas, diarrhea. Since some of these supplements do have many side effects, you should always consult with a trained health care professional before using any weight loss products. Posted on May 30, 2013, in adipex, belviq weight loss, qsymia weight loss, Weight Loss Articles, Weight Loss Medications and tagged does phentermine work, gabapentin weight loss, phentermine average weight loss, topiramate side effects, topiramate weight loss, Weight Loss Articles. Bookmark the permalink. 6 Comments.